During the 25th annual benefit gala dinner and concert MusiCares Person of the Year to honor ten-time grammy winner Bob Dylan. 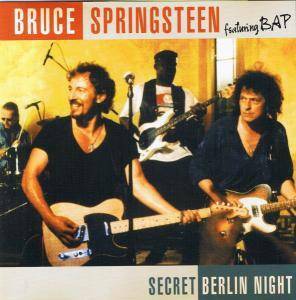 Springsteen's backing band for his performance of "Knockin' On Heaven's Door" includes Tom Morello and Don Was. 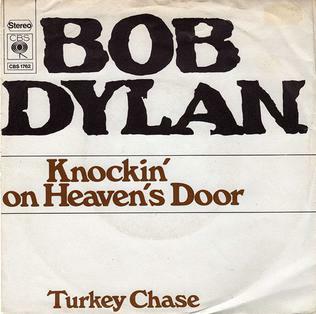 "Knockin' on Heaven's Door" is a song written and sung by Bob Dylan, for the soundtrack of the 1973 film Pat Garrett and Billy the Kid. Described by Dylan biographer Clinton Heylin as "an exercise in splendid simplicity", the song, in terms of the number of other artists who have covered it, is one of Dylan's most popular post-1960s compositions. In 1996 and with the consent of Dylan, Scottish musician Ted Christopher wrote a new verse for "Knockin' on Heaven's Door" in memory of the schoolchildren and teacher killed in the Dunblane school massacre. This has been, according to some sources, one of the few times Dylan has officially authorized anybody to add or change the lyrics to one of his songs.This version of the song, including children from the village singing the chorus with guitarist and producer of Dylan's album Infidels (1983), Mark Knopfler, was released on December 9 in the UK and reached No. 1 in the UK Singles Chart. The proceeds went to charities for children.